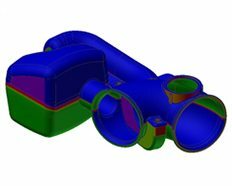 From the very beginning, Regency’s customers enjoy the advantage of a 2-4 week lead-time reduction for tooling as all Blow Molding Design & Tooling is performed in-house. 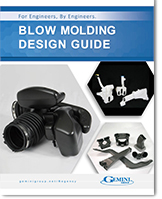 This includes all molds, trim tools, and fixturing. As a Tier 1 and Tier 2 supplier, Regency is comfortable being 100% design responsible or coming along side as a design partner. As part of the Gemini Group, Regency Plastics is Horizontally Integrated giving us the upper hand when it comes to determining material and process constraints and limitations as well as the confidence to stand behind out work. Speed is everything; whether you need parts in less than 24 hours or in a week, Regency Plastics has the in-house resources to meet your deadline. 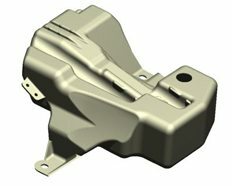 Depending on your need, Regency can produce tooling from wood, epoxy, aluminum, and steel to produce parts for appearance evaluation and physical testing. 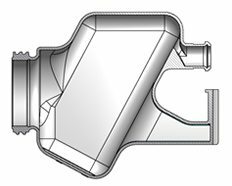 We can develop tooling for prototype and production blow molds, assembly and test fixtures, and end of arm for robotic applications.